In 10 years, Manila’s Ninoy Aquino National Airport (NAIA) could be shutting its hangers for good. According to Transport Secretary Arthur Tugade, NAIA’s remaining lifespan is only about 10 years. “NAIA will not last forever because it is presently situated in a place which is overly congested, and technology and airline travel have improved,” he said. The transport chief was speaking during the Philippine Economic Briefing that was held in Pampanga on April 13. Tugeda also expressed fear that 10 years is a generous estimate and it might actually be only 8 or 9 years. He said the country needs to develop new airports that can keep pace with the speed of aviation technological advancements. 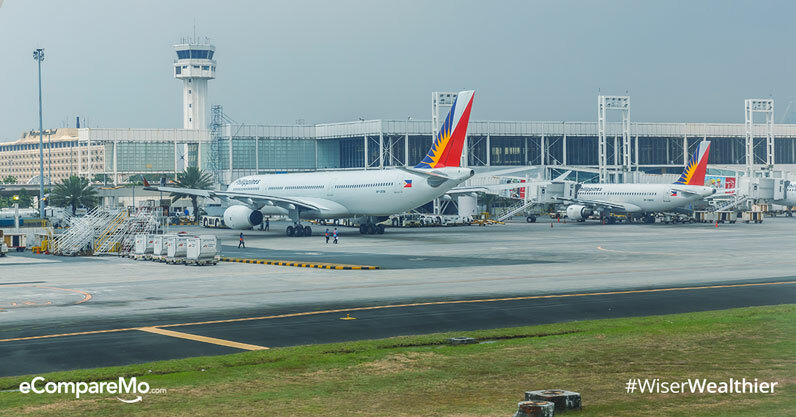 Tugade also said that the government is currently considering the possibility that NAIA can instead be made into an economic hub like Taguig’s Bonifacio Global City. The government is also entertaining proposals for new airport developments. During the briefing in Pampanga, Tugade said that he was currently looking at proposals for new airport developments in both Sangley and Bulacan. The Bulacan project has attracted the interest of the San Miguel Corporation. The conglomerate has expressed an interested in building then operating an airport in Bulacan which will cost about P700 billion. Their proposal is being studied by the National Economic and Development Authority Board. While they might admit that NAIA’s time might be limited, the Department of Transportation still has to completely abandon plans to rehabilitate it. Yesterday (May 24), the DOTr revealed some new details on the ongoing negotiations between the department and private sector consortium. The NAIA Consortium is composed of seven conglomerates: Aboitiz Equity Ventures, Ayala Corp., Alliance Global Group Inc., Asia Emerging Dragon, Filinvest Development Corp, JG Summit Holdings Inc., and the Metro Pacific Investments Corp. The consortium is in the midst of discussions with the DOTr. They believe that, if they were allowed to modernize and operate NAIA, they can increase its capacity to 65 million passengers a year. During the Asia CEO Forum, Tugade said that the focus of the negotiations right now is what “payment” the NAIA consortium will make to the government. Another area under negotiation is about the concession period. The DOTr has already rejected a proposal from the consortium for a maximum concessions period lasting 35 years. This has been cut down to 15 years, but Tugade said it was still being negotiated. The NAIA Consortium seeks to increase the airports hourly take off rate and landing movement to around 52, which is higher then current levels by around 30 percent. Currently NAIA serves about 40 million passengers annually. It was only designed to serve 31 million passengers annually.